This entry was posted on Thursday, September 16th, 2010 at 5:00 am and is filed under Belief in a Just World, Science, Warrior class, Weapons of Influence. You can follow any responses to this entry through the RSS 2.0 feed. You can leave a response, or trackback from your own site. 4 Responses to (false) Patriotism is the last refuge of a scoundrel. Thanks, Les, for telling it like it is —for removing the lipstick from the pig and for demonstrating who provides the lipstick for “the beast” under cover of dishonest and ineffective government regulation! http://thegreatfranchisingrobbery.blgspot.com. Read “Franchise Regulation Realities – Deception or Patriotism” in a Google Search. I don’t have any solution to this. I’m afraid it comes with the territory. Other than commenting wherever you see it, I’m at a loss. Anyone else with a solution? 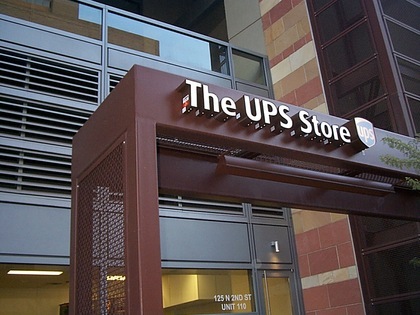 If you Google up “The UPS Store” there are over 100,000,000 entries –most of which are pushing the sale of this franchise to innocents –to our returning Veterans, especially because of the SBA Patriot Express Loan Initiative of the SBA and the Vet-Fran and FranData, IFA alliance! On theFIRST page of the first several pages the FIRST reference is a UTUBE commercial where some current franchisees of The UPS store tout the sale of this franchise to innocents who will not be informed of the churning and turning of units and the unprofitability of this franchise for the majority of franchisees. These franchisees talk about “fun”and “being your own boss” and how rewarding this is and they disengenuously suggest that it was their own great efforts that made this franchise successful for them. There is,of course, no talk about success and profits! These large corporations use inadequate regulation of advertised startup costs and dishonest regulation of the sale of franchises to put lipstick on their pigs and use the franchisees to paint the greedy lips of the pigs!